Why Should You Store At Our Weston Super Mare Self Storage Facility? There's lots of reason to use us but which one is best for you all depends on your circumstances. Please browse through the headers below and pick out the ones that suit you and your needs. We a have great location on the edge of town which gives you easy access to both the motorway and to Weston as a whole. Our self storage facility at Worle offers a safe place to store your goods and possessions in our modern warehouse. Being located right on the M5 at junction 21 we are in the perfect place for both the local residents of Worle and Weston-super-Mare as well as those from the smaller towns and villages, such as those needing storage in Yatton or Congresbury. Offering great value for money is important to us and we understand that can mean different things to different people. We know it's important to you that your goods are dry, safe and secure. We also know that storage is a cost no one really wants to incur! That's why we offer a price guarantee where we will beat any like for like self storage in the local area by 10%. Not only that but at the moment we offer 50% off for the first 8 weeks - that's the equivalent to getting four weeks rent FREE! Amazingly you do not need to stay for the whole term to qualify for this offer and there is no deposit to pay. Act now as this offer is for a limited time only - you can reserve a room now for up to three months in advance. You wouldn't start paying for your room until you move in and reserving the room locks in the current price and offer for when you are ready - we don't even need a firm date to do this. Ask one of our members of staff how to reserve (it doesn't hurt, we promise). Alternatively, you can get your price instantly just fill in the quote form to the left. House moving can be stressful, especially moving deadlines and the pressure to be in or out of somewhere by a certain date. That's certainly not a pressure you will get from us. When you come to move out you only need to provide us with fourteen days notice. That's plenty of time compared to the speed of house completions - selling or renting has never been known to be quick! You're never tied in to a contract, you can always give fourteen days notice and any days rent you have paid that you haven't used is refunded back to you. Simple! Parking outside our facility is really easy, based on a quiet road accessing the car park is straight forward even for larger vehicles. Within our warehouse we provide trollies so that you can lift items straight out of your car or van and then push them to your room. There is also a goods lift which means our storage units are just the same whether you're on the ground, first or second floor. No heavy lifting or carrying. How much space will you need? No idea? Neither did we until we started in the self storage industry. Now many years on (we opened our first site in 2005, wow that makes us feel old!) 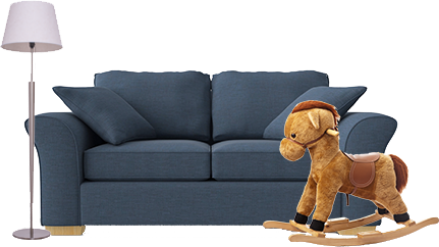 we can advise you on what size you will need through a brief chat on the phone, we don't need sizes of items just a rough description and we can help you decide what room to go for. Alternatively use our size estimator when filling out the quote form in the top left hand corner. That can give you a guide but remember to take in to account what you have in your loft / garage / basement / shed and consider if your home has a lot in for that size house or flat. Sorting your storage paperwork out might not be something you think about, especially if you're moving and have a lot on your mind, however we've devised the best way to make your moving day easy. 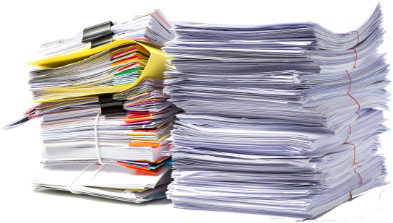 We sort your paperwork out over the phone and by email (don't worry you don't have to print or post anything) so when you come to the day you want to move in to your storage space you don't have anything slowing you down. Our company name trades on keeping your goods secure so it is our first thought when opening a new facility. The site has a perimeter fence with an access gate that is kept closed at all times - not many companies can claim that. Access is permitted with a key code entry system, with each customer having their own unique gate code. We have software that tracks who comes in and out of the site - you have to re-enter your code to leave. This is also backed up with recorded 24/7 recorded CCTV throughout the site. The locks are specially imported from the United States and have the unique feature of being unpickable. Luckily the locks come with three keys so just remember to separate the keys when you get them. 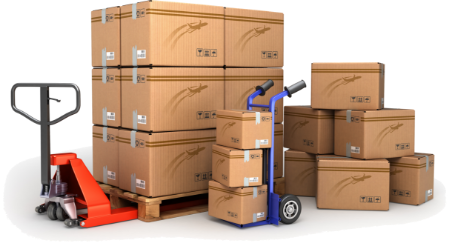 If you require access to your goods around the clock we can certainly help you there. With the investment we've put in to the gate entry system and security we can offer around the clock entry to the site. We offer all our customers FREE 24/7 entry for the first four weeks. After that you can go back to our normal Monday to Sunday office hours or continue with the extended access for the cost of a pint / large coffee a week. Polite, efficient and very helpful, and the price compared to other companies was good too. Highly recommended! Needed a unit quickly and locally! The team dealt with my query so professionally and swiftly. The storage unit was brilliant and access easy. Safe and very secure plus clean. Great value for money! Very simple process to obtain accessible storage at an affordable price. Read the paperwork, understood the charges and followed the rules for cancellation. Refund for unpaid use was very quick to appear in my account. Would recommend this company and facility. Excellent secure service... Easy to use and the staff are excellent in setting you up.